For as long as I can remember, I have been a paper lover – stationary, stickers, journal, planners, etc. One of my favorite times of the year was when I got to shop for new school supplies – bouquets of sharpened pencils. Sigh. 😉 Things haven’t changed so when the new Blessed Is She Liturgical Academic Planner 2017-2018 came out I was giddy with excitement. 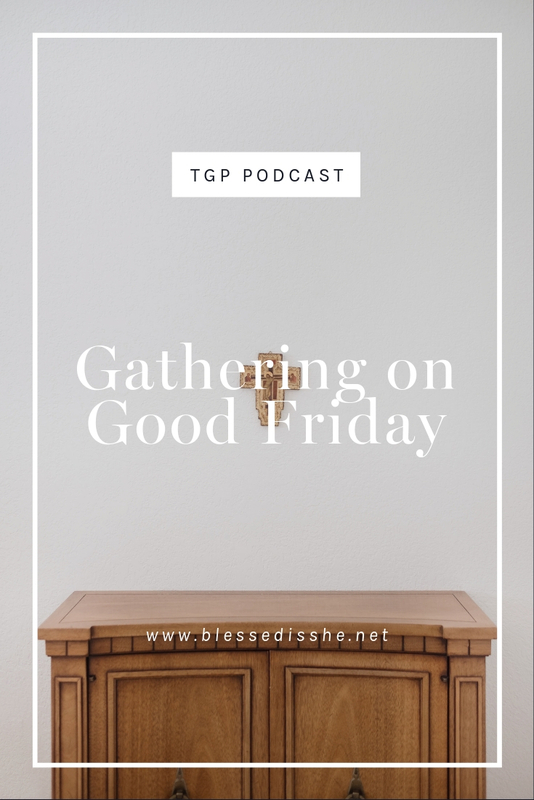 It is the perfect combination of beauty, organization and liturgical goodness! 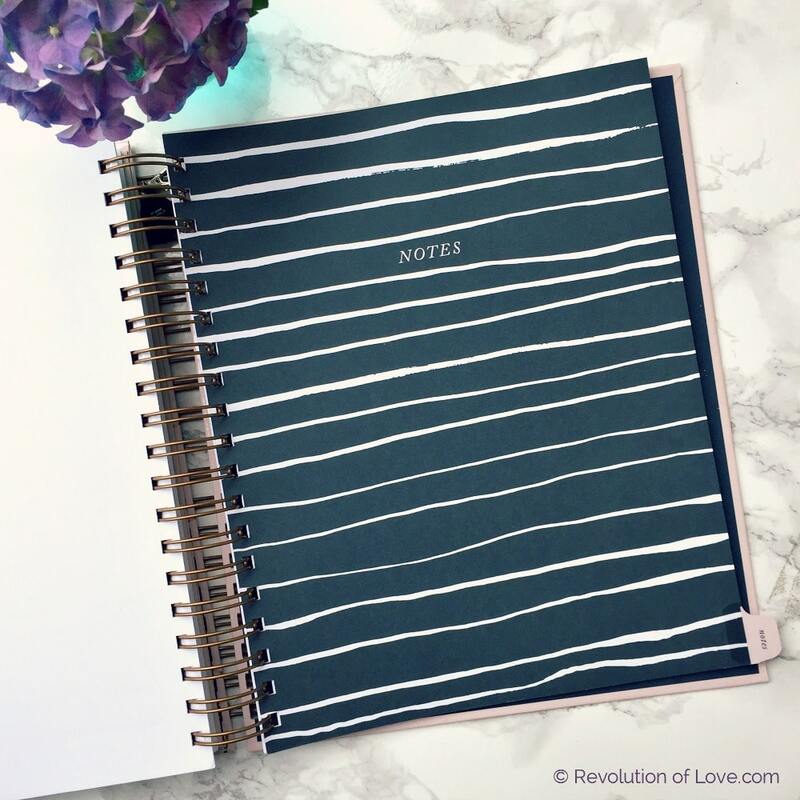 The planner is beautiful just as it is and can be appreciated by those who like a clean, streamlined look with a touch of lovely hand lettering. 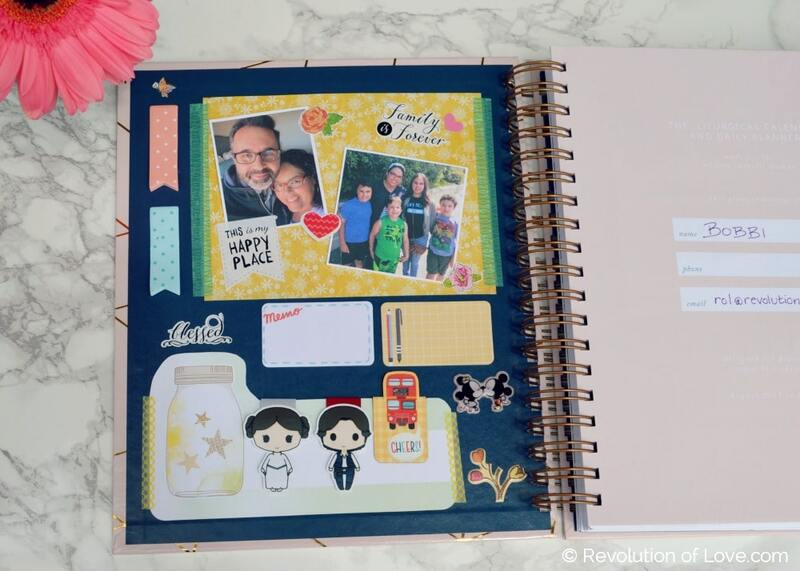 However, it also endears itself to those who want to embellish their planner with washi tape, stickers or drawing. 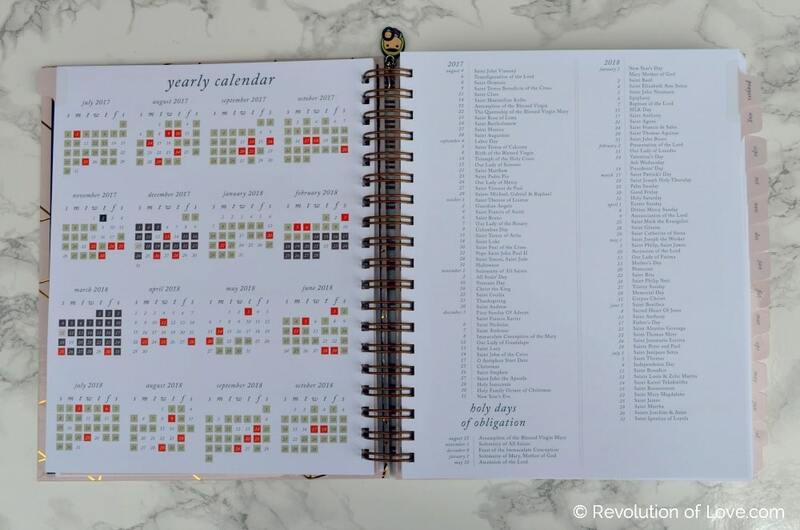 Whichever team you’re on, this planner is sure to please. 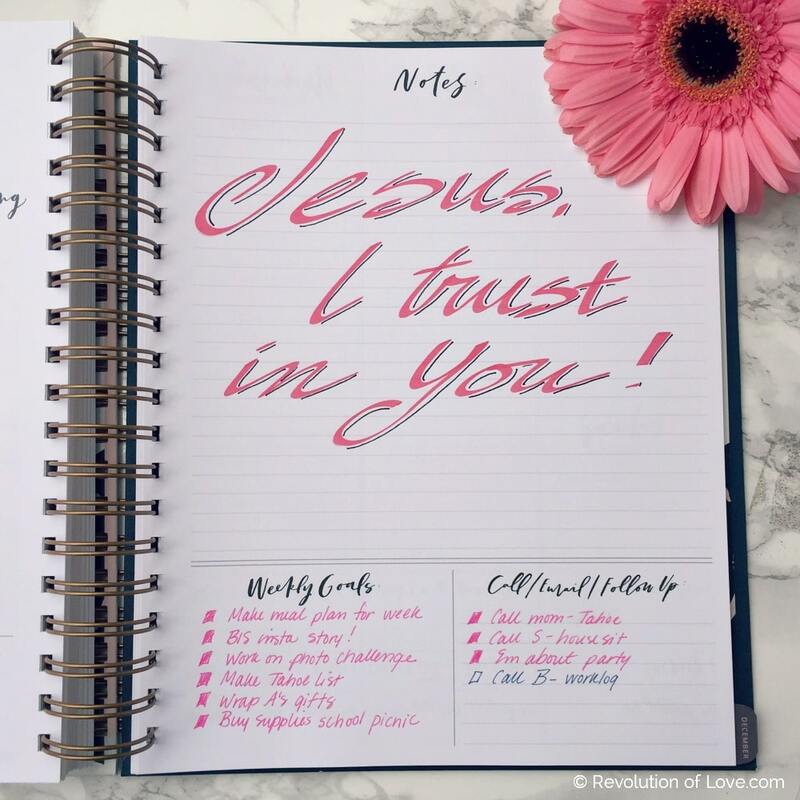 Currently, I use a bullet journal for lists and long term items but I use the Blessed Is She Planner for my day to day living and organizing. 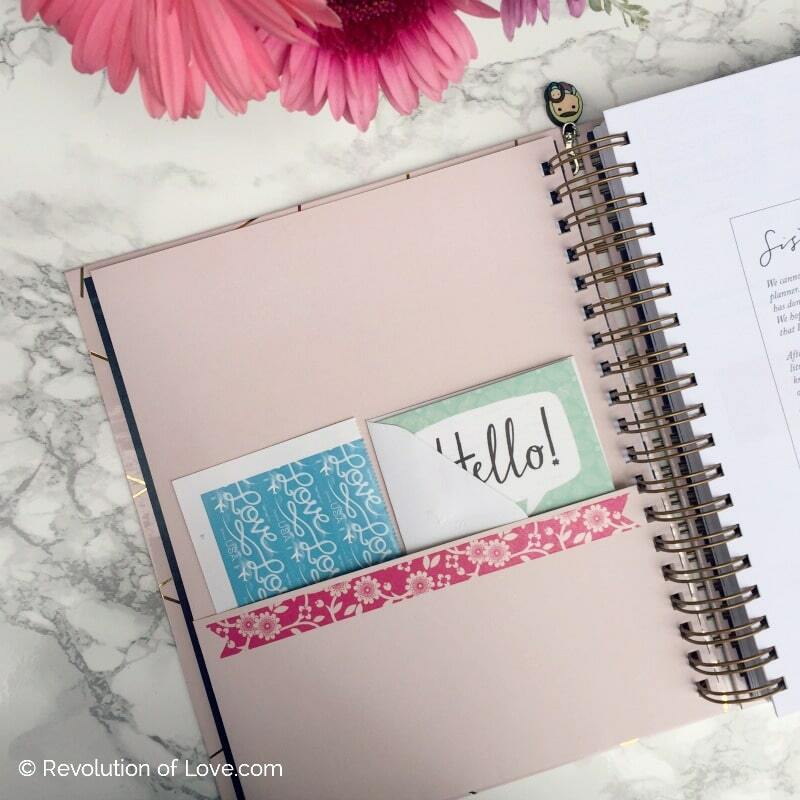 Since I am a fan of personalizing a planner to make it your own, I’ll share with you how I use and decorate mine. We’ll start at the beginning. On the inside cover I made a planner dashboard. I have a photo of my hubby and kids, post its, and a holder for my magnetic book markers. 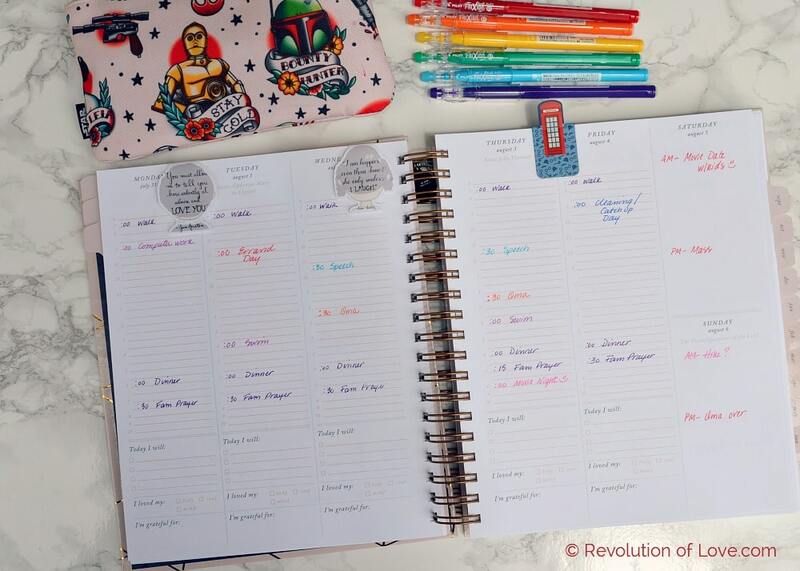 A new feature in this year’s planner is a pocket for papers, notes and things. I added some washi tape and stickers to decorate it. On the other side I store stamps and a note card that I need to send out to a friend later this week. 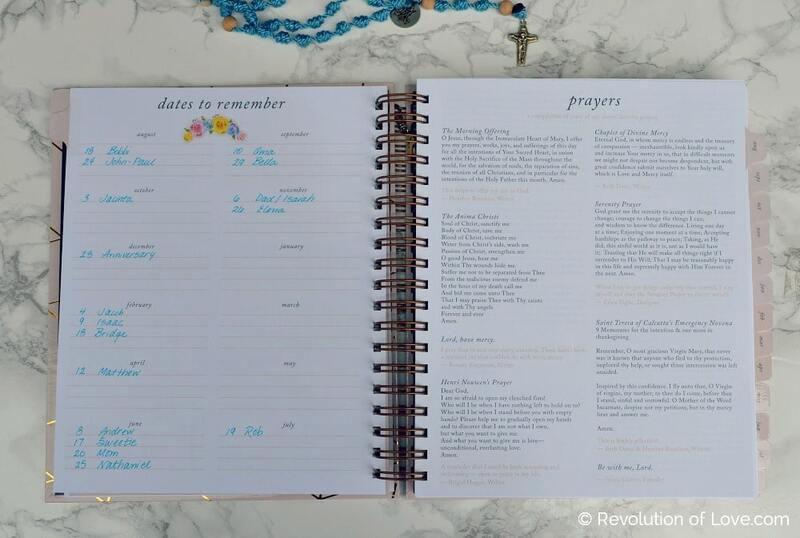 Next comes the year at a glance and a list of holidays and holy days of obligation. 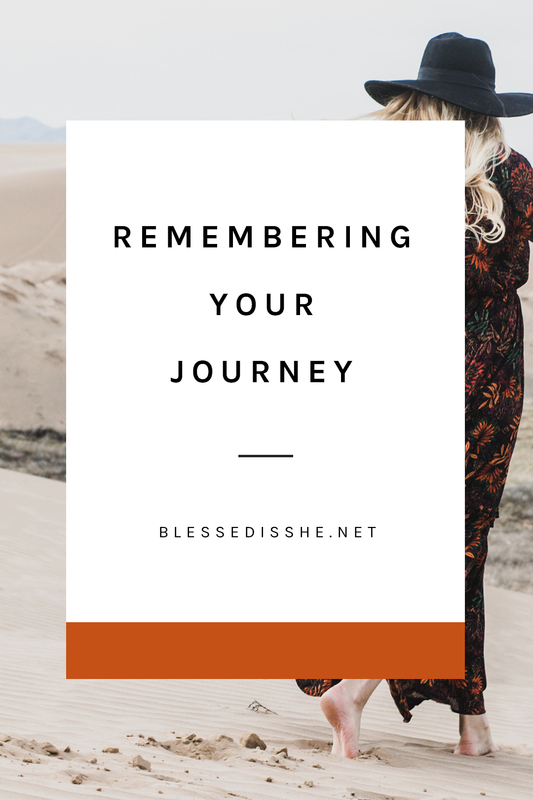 There is a Dates to Remember section and a compilation of some of the Blessed Is She team/writers‘ favorite prayers. 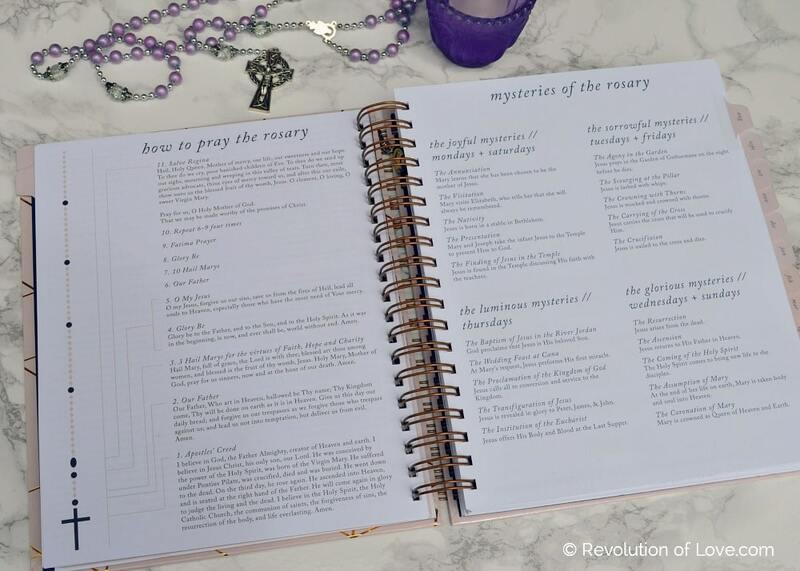 Also new this year, is the How to Pray the Rosary section. Next we move to the first calendar view. Since this is the Academic version, it runs from Aug 2017 to July 2018. My life revolves around my kids’ school schedule so for me this is the new year, rather than January 1. 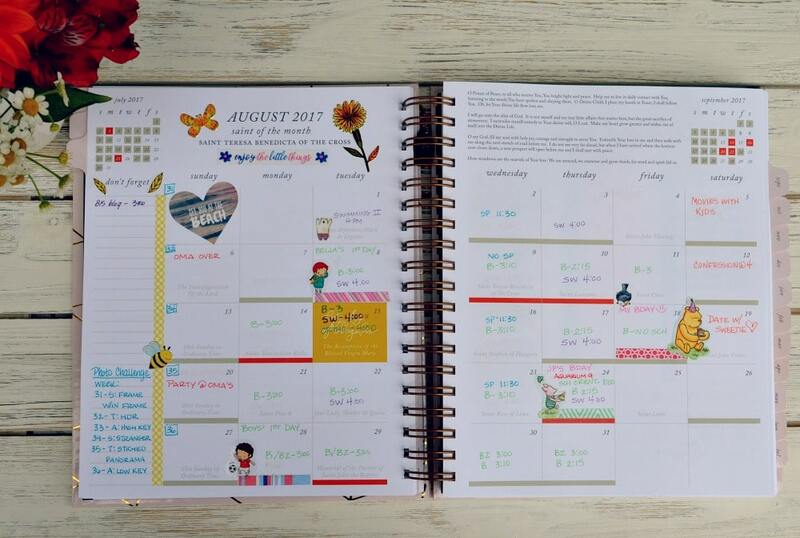 As you can see, I love to add stickers and washi to my calendar. I also only use erasable pens, since I MUST be able to erase! 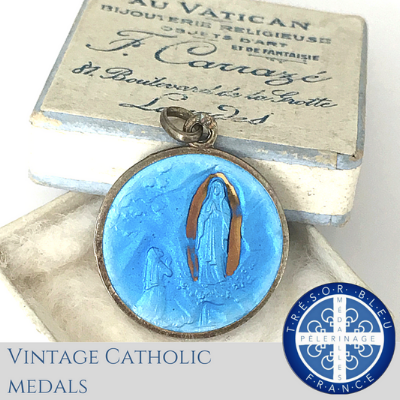 An awesome feature of the monthly view, is the listing of the saint of the month. For August it is St. Teresa Benedicta of the Cross who happens to be my chosen saint of the year. 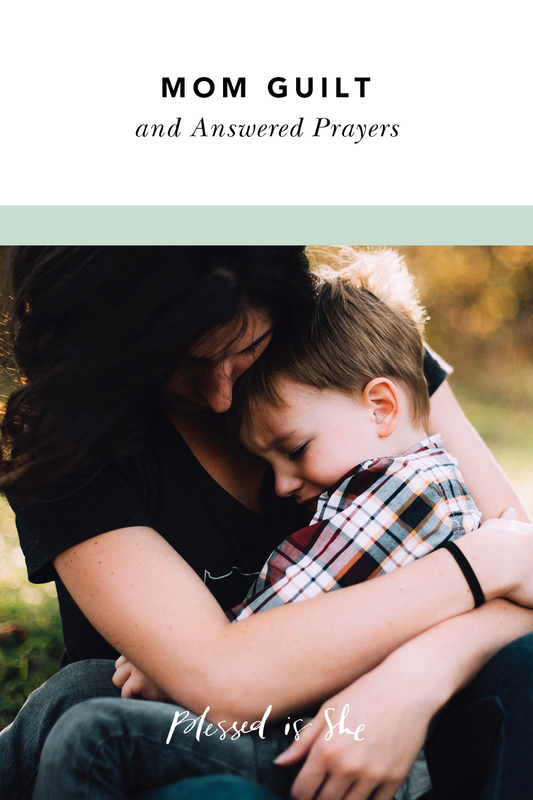 There is also a monthly prayer printed at the top of the page. 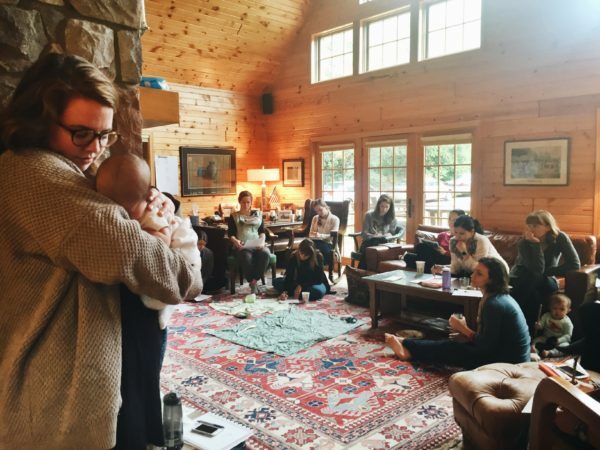 This is a beautiful way for all of us in the BIS sisterhood to pray together for one another. The days of the week have the saint of the day and holy days of obligation are marked by golden squares. 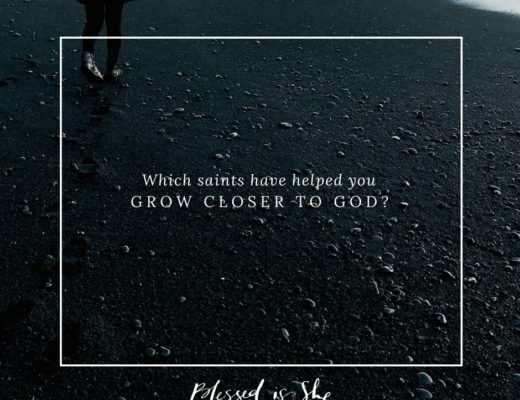 I love how this helps me incorporate the liturgical year into my day to day life! If you aren’t a fan of decorating and are curious to see the calendar without embellishment, here is a sample. 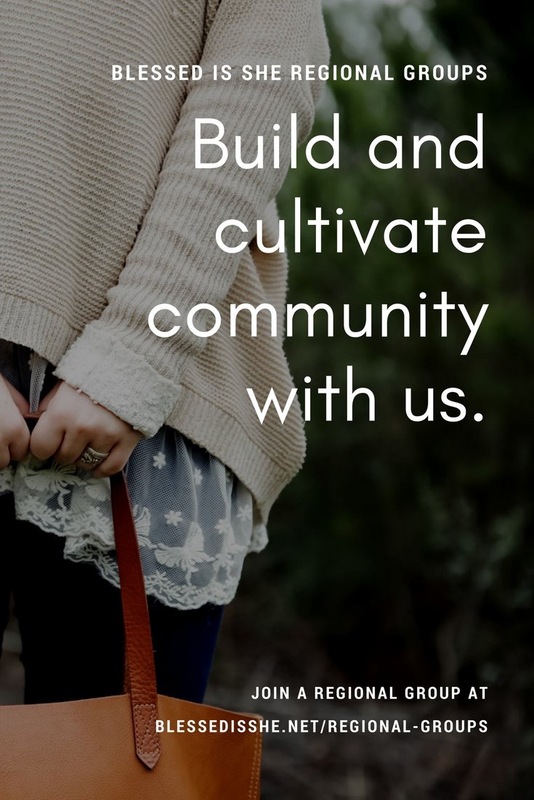 The weekly overview has sections for To Do’s, a grocery list, meal planning, prayer intentions, weekly goals, call/email/follow up, as well as a large notes section. I divided my notes section into three more ares – more To Do’s, blog/writing, and a smaller notes section. My Elizabeth and Darcy magnetic book markers add some extra love to the page. On Sundays I work on my weekly spread. I’ll do a brain dump and write down everything that is on my mind to get it out of head and onto the page. I put the important items in the main To Do column and the tasks that aren’t pressing in the secondary To Do list. Then I go over my tasks and assign then a day that I need to have them done. When Monday comes I know which items I need to focus on first before anything else. For my meal planning, I first look in my fridge and freezer to see what items we need to eat before they expire. Then I look at my schedule that week and see which days I’ll have time to make a longer meal and which days I have appointments or swimming lessons in the late afternoon. I assign those days easier meals or plan to use the slow cooker. 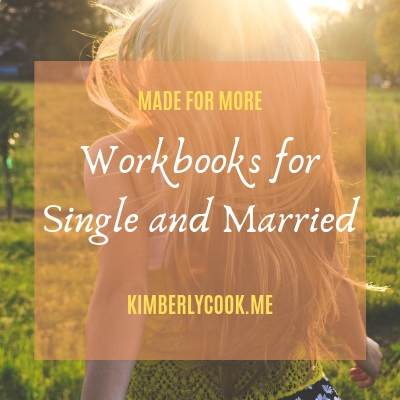 Once I’ve narrowed those things down, it is easier to figure out what to make and when. In the prayer intention areas, I list those people who have asked for prayers. Here’s a tip that has helped me – when there is a prayer request on Facebook or Instagram and I promise to pray for the person, I take a screen shot of their request. Later in the evening before I say my night prayers, I look at the screenshots and write down the intentions. That way, I don’t forget! 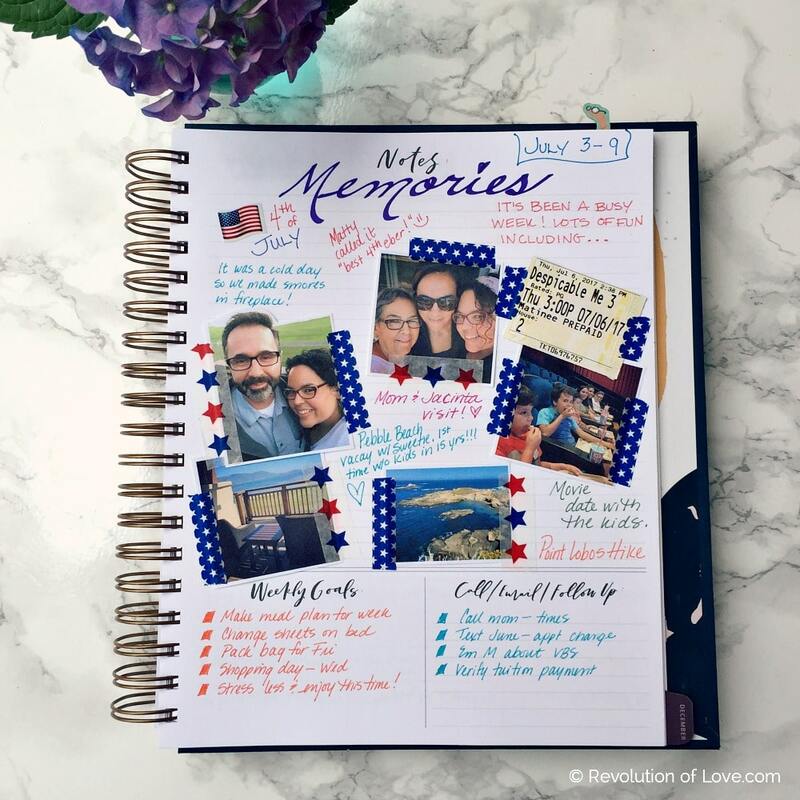 Another idea would be to have a memories page with highlights of your week. 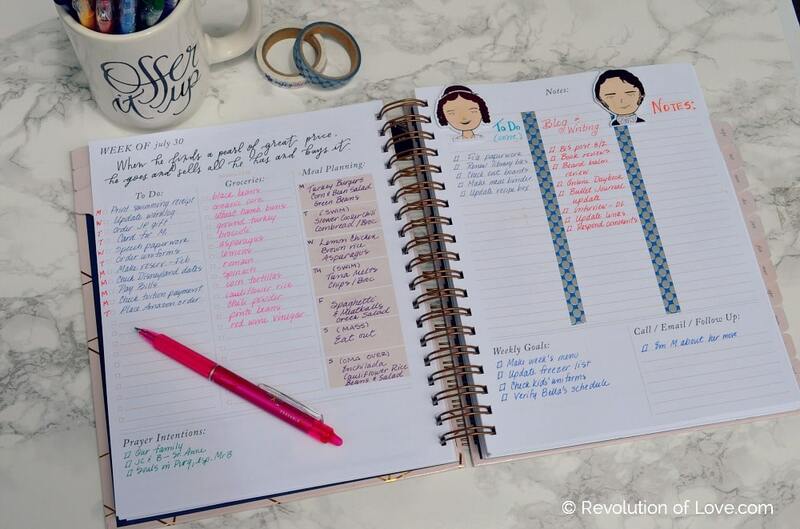 You could add photos, ticket stubs, funny things you child or your roommate said to you or journal your thoughts. 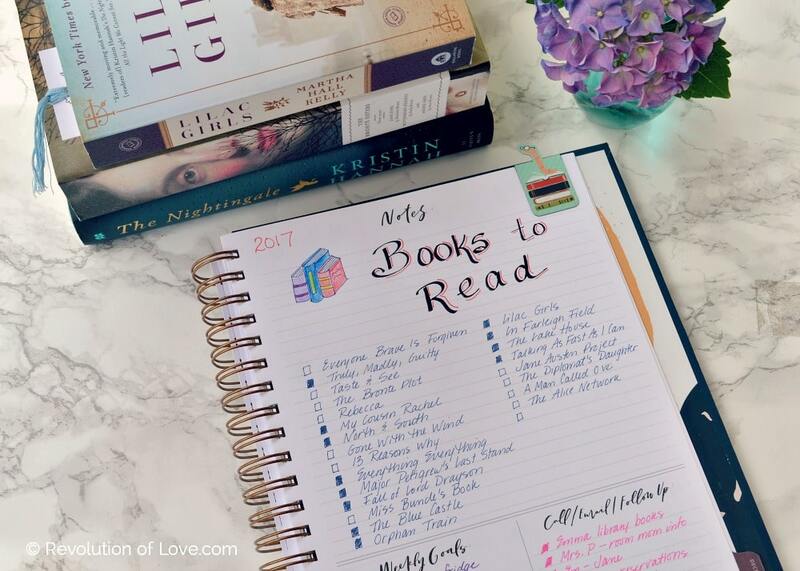 Or you could also use that section to start a fun list such as movies you want to watch or books you’d like to read. 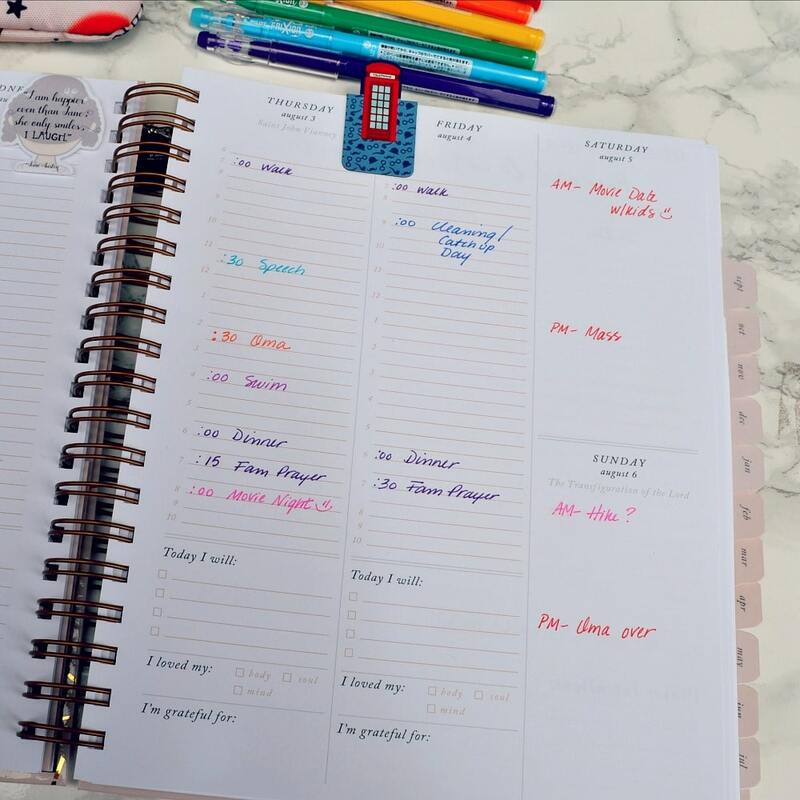 You can add a magnetic book marker, paper clip or a book dart for quick reference and add to it throughout the year. Next is the weekly schedule with daily time slots for appointments and tasks. I keep track of the places I need to be or work I have to do. 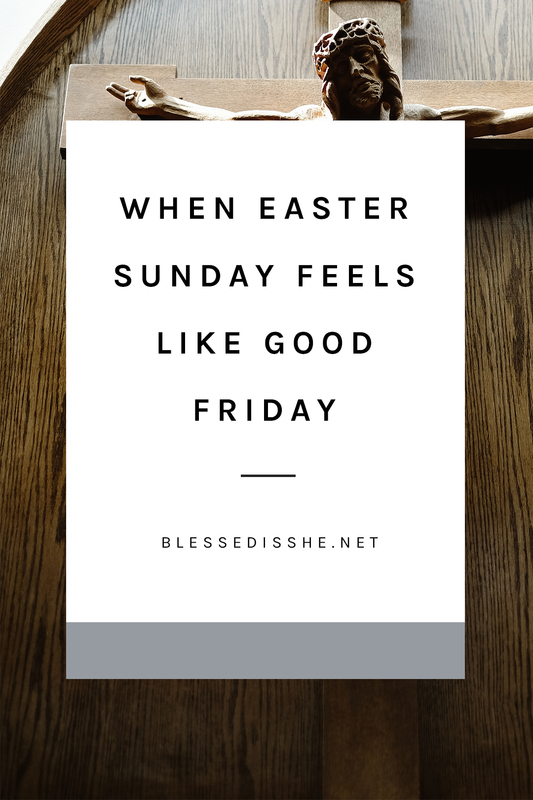 Each day has the liturgical feast day listed and it also has a section for tasks to complete that day; a tracker to check off if you’ve cared for your body, soul and mind; and a section to write something that you’re grateful for that day. On my monthly and weekly calendar I like to color code my items. I use purple for daily or regular activities, green for school, orange for my MIL, blue for medical appointments and red or pink for outings and parties. 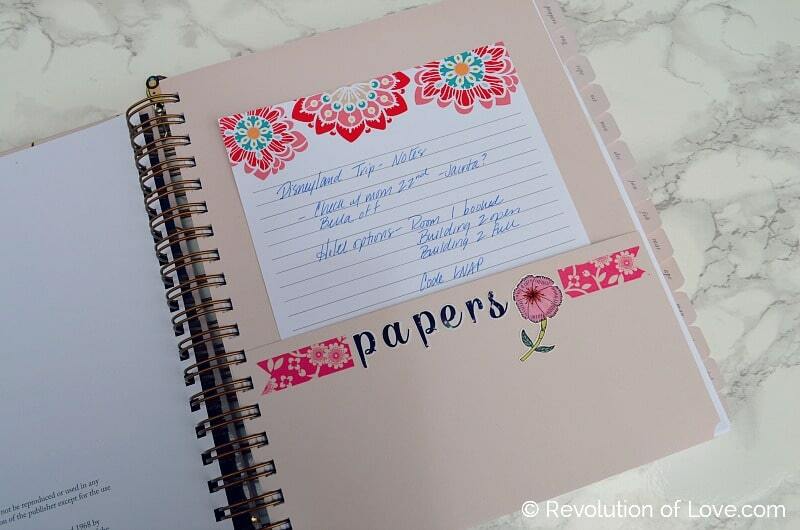 In the back of the planner is a new added section – lined note pages for your own notes. Love that! I hope you enjoyed this peek into my planner. 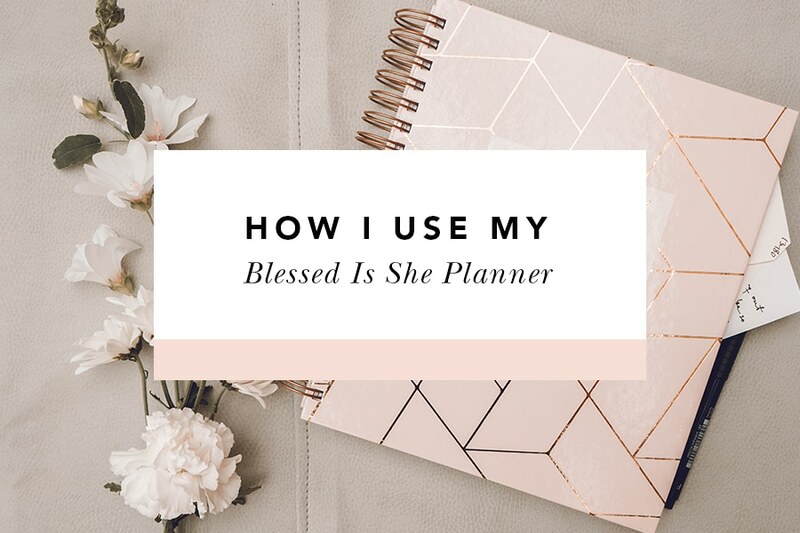 I’d love to see how you use your Blessed Is She planner! Post a photo on Instagram or Facebook and use the hashtag #bisplanner. 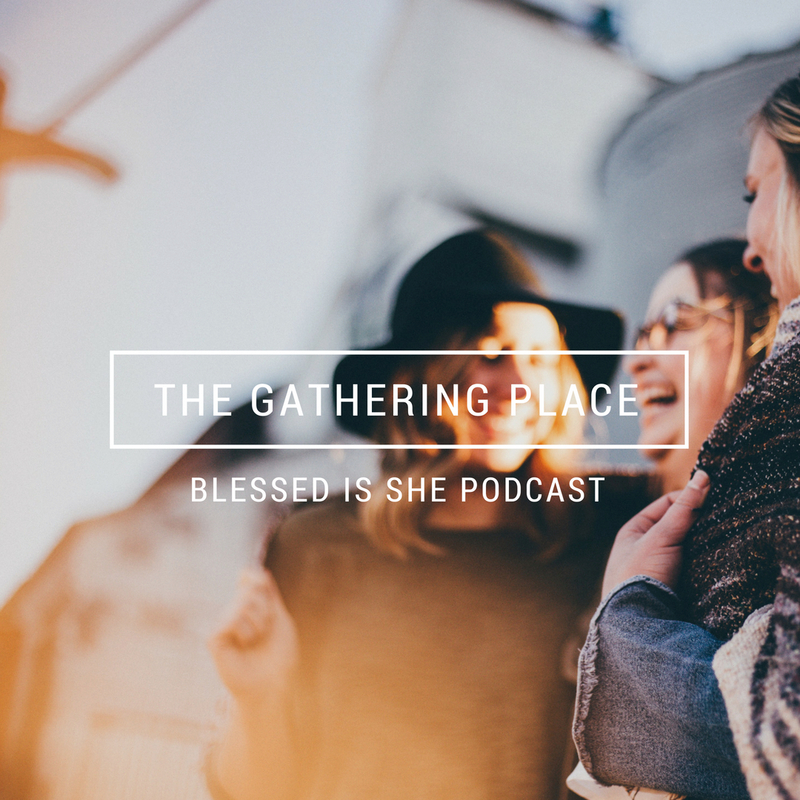 UPDATE: The Blessed Is She Academic Planner (that runs from Aug 2017 – July 2018) has sold out. 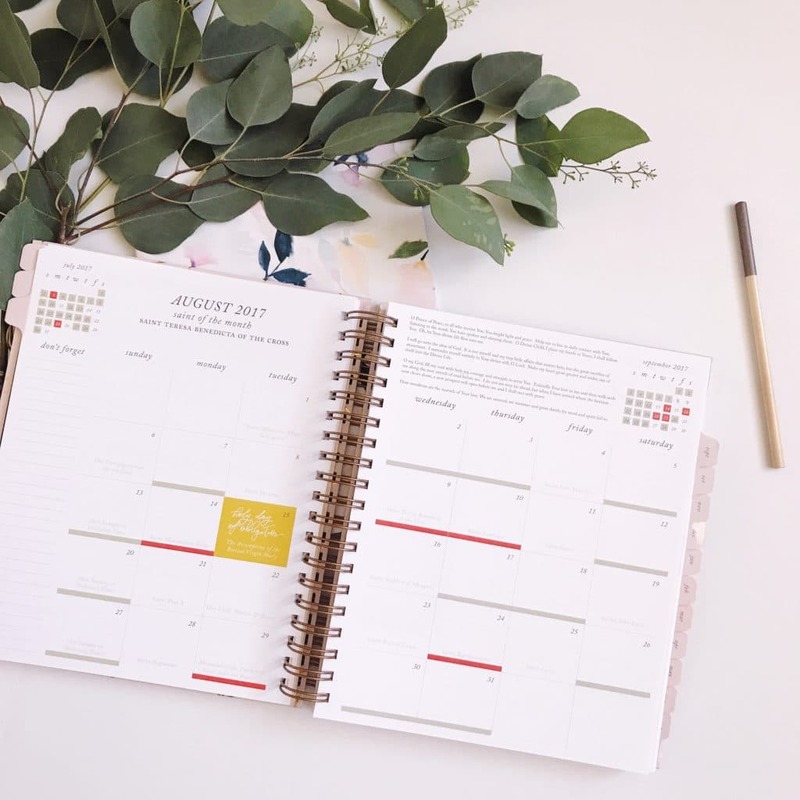 The Calendar Planner (that runs from Jan 2018 – Dec 2018) is now available for pre-order. Written by Bobbi Rol. 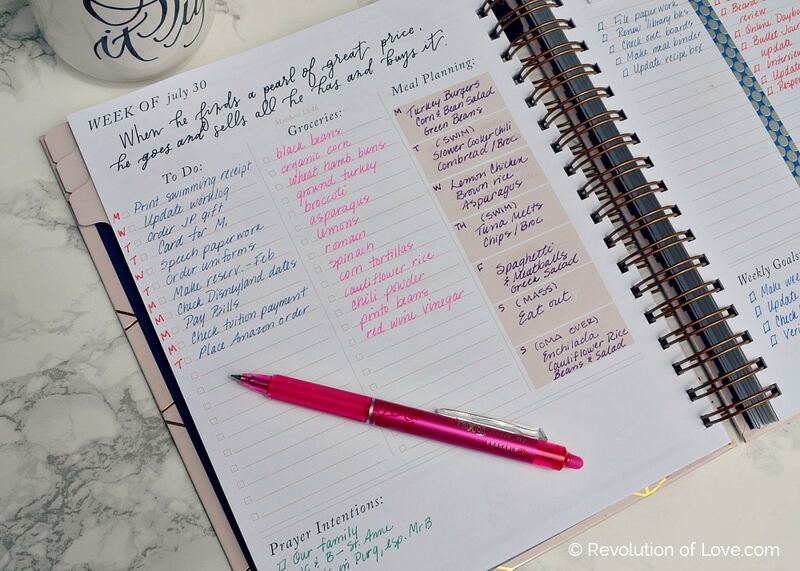 Find out more about her (and her planner supplies) here. Saving up so I can purchase the academic planner next time its offered! Wont miss the boat again!